I’m staring at another birthday in the face, even though my requests to not have any more birthdays appear to have fallen on deaf ears. During this time of year I do a lot of self-reflecting, trying to be objective while focussing on things that I do that I need to change. Recent events have brought out one of the things that I most dislike in myself. My particular OCD: an obsession over lost or stolen things. My loved ones have learned to get outta my way when I’m looking for something that I’ve lost as I open and close drawers, lift furniture, dig around the garbage till I find the thing. Like the baseball glove that I had as a child that my father bought me. I kept it since I was 9 with the softball that my dad had written my initials on, the same one he beaned at me while trying to teach me how to catch. Right between the eyes. (Lesson #1: Put the glove between the ball and your face). During one of our recent moves that glove somehow got separated from the ball and was lost. I still have the ball, which I should get rid of because every time I see it I’m reminded of the missing glove and it bothers me. A minor tinge where the heart’s supposed to be, but a tinge nevertheless. Last Friday my son’s two-months-new cellphone was stolen. Why does an eleven-year-old need a cellphone, you ask? Because he walks home from school alone, and he needs to call us from home when he arrives. He used to leave the phone at home but then I thought he should keep it with him in case something happens to him and he needs to call us. He’s under strict orders not to take the phone out at school, or to use it at lunch save to make a phone call, so it should be safe, right? Not. As a grade 6-er he’s allowed to leave his school with friends for Friday lunch so the boys usually go down to Bloor St. to get pizza or poutine. I guess at some point he took out his phone to check the time and that was the end of that. Someone absconded with it. Skip forward five days and he’s at a school ski trip. He has $20 in his wallet, which he takes out to buy his lunch. Wallet presumably falls out of his pocket and is gone. Both phone and wallet disappear inside of a week. Of course the phone was a bigger deal because his wallet only contained his change, a picture of himself and business cards belonging to his parents (thank-you, whoever found the wallet with my phone number in it, for not calling me, you asshat). We tracked the phone online along Dupont Street, into the Sobey’s parking lot where it rested for a while, then watched it turn right onto Dufferin to the point north of Davenport where the thief shut it off. We’ve advertised for its return, and have had the phone locked. If someone tries to replace the SIM card we will receive a phone call, which will provide us the location of the phone at that time. Until the thief turns it back on, though, they will not get our message that says we’ll provide a reward for its return, and no questions asked. Thankfully the phone was insured but we still have to pay $150, which son will do out of his allowance. Then he’ll have lessons on when the phone needs to be used and how it shouldn’t come out of hiding in public places, etc. Then I will obsess daily over the location of the replacement phone. I fear my tendency to obsess over things that have been stolen or lost. I still remember who has my original copy of Stephen King’s Carrie that I loaned out when I was 15 and never got back. 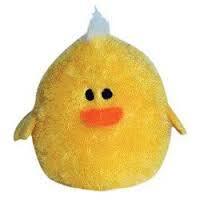 I still wonder what happened to my son’s ‘Peep’, a little yellow stuffed chick that he slept with when he was young. We had left it behind at the Hotel Practic in Paris five years ago, and even though I called the hotel and they promised to mail it back to us, we never received it. That precipitated a marathon online search for the same little stuffy (google ‘yellow stuffed chick’ and see what happens – I went blind). My search resulted in me contacting a woman in Indiana who had the only other one on the planet. I bought it from her for under $10, she mailed it to me, and we made a big fuss over how the thing was finally returned to us by the hotel in Paris. I don’t think my son really gave two hoots about it by that time, but it appeased me to some degree. Not enough that I don’t still think of Peep #1. (I think I OCD’d on the Peep because I was afraid she would end up in The Lost Playground. My mother had given me the book by Patricia Coombs. It’s about a playground where all lost toys go, hoping to be found by their owners. Very sad, but a happy ending for one homemade stuffed toy, a rabbit-like thing called Mostly Frederick Sometimes Sam. ‘Mostly’ gets reunited with Jane. The other toys presumably languish in playground purgatory, like Peep #1). They do not live. I’m trying to come to terms with the fact that cell phones, wallets and Peeps are inanimate objects. What is important is the memory of playing catch in the backyard with my dad, not the glove itself. These objects have no feelings, do not hold particular attachments to their humans, and that if they get run over by a car, tossed into a landfill, or fall into the ocean they feel no pain. Now if I could just convince myself not to, either. This entry was posted in Ramblings and tagged asshat, cell-phone thief, guilty vegetarian, obsession, OCD, peep, veggie, yellow stuffed toy by budbug. Bookmark the permalink.